If you know you SHOULD be selling your art on your own website, but are not because the technicalities of accepting payment scare you, I am about to rid you of every excuse you’ve got! 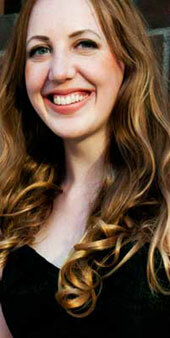 I’m Stephanie Peterson, the founder of an e-commerce web design/development agency called Fairground Media. I’ve got over 13 years of experience. And today I just want to outline the top three simplest, most effective means for accepting payment on your website. Though it’s the most intimidating part of building a website, the bulk of the challenge is that there are so. many. options. to compare. So, let me just break these down and give you some specific suggestions. Ideal for artists without a variety of different items to sell; technophobes. You start with a basic working website. I recommend following Cory’s guide on How to Build an Artist Website in 10 Minutes with WordPress, because it will be insanely easy (and fun!) for you to maintain this type of site and make updates later. In fact, he shows you how to do that right in the video. Assuming you’ve done so, you now have your domain name and web host all ready to go, and WordPress is installed. Then, I suggest you sign up with either Paypal or E-Junkie. Paypal will provide web code for you to copy-and-paste to your site which will display a “Buy” button to take your customer to their website for the purchase. E-Junkie works much the same, except the look of their checkout page can be made more seamless to the look of your site. “Buy” Buttons are quick and easy to integrate into your website. Plus, the actual credit card transaction happens on a third-party server (such as Paypal’s or E-Junkie’s) so you don’t have to worry about having to up your website security to protect this sensitive information. Ideal for artists with a variety of different items to sell; who can handle step-by-step technical instruction; who have some time. You start with a clean slate, just a domain name and web host all ready to go. No WordPress installation or anything like that. Then, you choose your free, open source shopping cart software. I recommend OpenCart. Now check to see if your web host provides an automatic install. For instance, using Blue Host hosting, when I log-in to my account and go to my C-Panel, there is an icon for “Simple Scripts” listed. When I click on this, I see that it gives me OpenCart as an option of something I can auto-install. If you’re certain your hosting doesn’t provide anything like this, you can download the latest version of the software from the OpenCart website and follow the instructions from their website on how to install the files on your website. If you run into trouble, don’t hesitate to search Google or YouTube for more detailed info on how to complete the installation. Once the software is installed, you sign in to the admin space (www.yoursite.com/admin) and configure the store as you please. Next, log back into your web hosting account and purchase an SSL certificate. Follow the instructions for enabling the special url on your checkout pages. The shopping cart software allows you to sort and display your products in a slick, organized manner. Checkout and the actual credit card transaction takes place on your site, within the rest of your site’s layout, which is perceived as the most professional integration possible. Ideal for artists with a variety of different items to sell; technophobes; who have some money. You start with just your domain name; you haven’t purchased web hosting yet. Then, you choose your hosted shopping cart software. I recommend Shopify* or BigCommerce. You reviews the plans they offer and sign up on their website. Once signed up, you can sign in to your admin space and configure the store as you please. Next, visit your new store website to see that checkout pages (where credit card information is supposed to be entered) has “https://” in the address bar. If not, find where on the site you can buy an SSL certificate and follow the instructions to have it installed. The shopping cart software allows you to sort and display your products in a slick, organized manner. Checkout and the actual credit card transaction takes place on your site, within the rest of your site’s layout, which is perceived as the most professional integration possible. Since the software and web hosting are bundled, you don’t have to mess around with an installation– it is automatically installed for you. Also, some hosted shopping cart software carries the extra weight of the security burden by providing a built-in SSL certificate from the get-go. Shopping cart software of any kind (open source or hosted) will require a payment gateway and a merchant bank account. The easiest payment gateway + merchant bank account starting out is Paypal (it does both). As your store grows, however, it’s worthwhile to look into options with fewer restrictions and lower high-volume fees. A Google search is the best place to start. 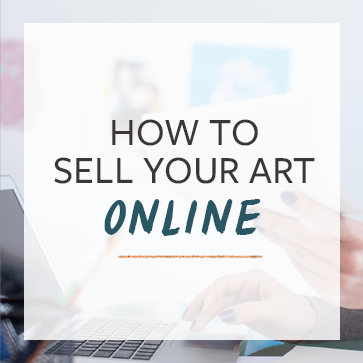 Many artists fail to put their art for sale online because they are TOO intimidated by the technical processes. I hope this article helps you to wade through the confusion. While I am a web designer/developer by trade, I believe that building one’s own site starting out can be a great idea to feel out the business opportunity, take the time to “step into” your new business and decide what you want it to be, and for the familiarity that will allow you to actually USE and update your site(s) as time goes on. If you have had luck with any of the above, I would love it if you would say so in the comments below. Or, if you have any quick questions for me, I’d be happy to try to answer them. Hi Stephanie, thanks for your post. And thanks to Cory for having the abundant artist website with all this wonderful information! My question is do you feel like it’s necessary to have an etsy account and a way to directly buy from your website? Or should you just pick one? Or what if you have all of your “fine art originals” on your website, and then things like small prints/cards on your etsy? Do you have any recommendations? Also, you said that the Open Source Shopping cart software + SSL certificate is the most professional looking. Do you think this mean having a ‘buy’ button makes it less professional? Thanks for your time! I really appreciate it! Hey! My opinion on Etsy is that it’s a great marketing tool, but I would suggest having your own website as a “home base.” And that can look a few different ways. Preferably, I’d do the full-blown store on your own site and use the Etsy shop link only on Etsy forums and within that community. And treat it as kind of a “lure” and another way people can connect with you…. Offer a small discount or special offer for people who either join your mailing list or even purchase through your main site– you can advertise that right in your Etsy store’s greeting. So Etsy browsers who might not have otherwise have found you are re-directed to your website. Also, they’ll still have the ability to add you to treasuries and “heart” your stuff and all of that great community, shar-ey stuff. And then I would focus less on listing every single item there– just the very best: the bait! Another way is to have all your bio/backstory, blog, and product listings on your own site, and then link to Etsy for the actual transaction. I don’t think this is ideal, though, because it puts a “bump” in the path. When any kind of interruption happens, like being thrown to a page that looks different than all the others, customers are skipped out of the flowing funness of online shopping and start to re-think what they’re doing. For that reason also, if you choose to go this way, you MUST link individual product images to individual listings– if I click on a product and am taken to a huge list of more products, I’ll leave before I’ll dig up that thing again. But there’s that option. The “bump in the path” principle is also why I think the shopping cart is the most professional– because your customers never get skipped off to Paypal, or a site that looks different than the rest of your site. “Buy” buttons CAN be done more seamlessly with E-Junkie (and I think 1shoppingcart, although I’ve never used it myself), and if you only have a few items, then it might not be worth fussing with a full-blown cart. @Fairground Media@AlliBratt Thanks for your advice, Stephanie! I appreciate you taking the time to write back to my comment. I think you have some really valid thoughts. I’ll have to think those over and see how it goes! I guess a concern I have about keeping both an etsy shop and a website shop open, is that they will compete against each other. Would you suggest having different things in each place? I was a bit confused as to whether you already answered that or not.. Thanks!!! I’d put your best into the Etsy shop (items that will also be for sale on your main website), but use every means possible to lure Etsy shoppers interested in those items from there to make the purchase on your main website. Having a clear focus on which shop is most important (your main one) will keep them from competing for customers’ attention and your own time. Your Etsy store should be designed such that people to see an item they like > follow your offer to your website > join list/make purchase — With that in place, if someone still purchases through Etsy, it’s because they’re only comfortable there and you wouldn’t have gotten their business otherwise. So still a win! The “bump in the path” principle is also why I think the shopping cart is the most professional– because your customers never get skipped off to Paypal, or a site that looks different than the rest of your site. But they CAN be done more seamlessly with E-Junkie (and I think 1shoppingcart, although I’ve never used it myself), and if you only have a few items, then it might not be worth fussing with a full-blown cart. I currently use Big Cartel for my works but I have a direct link from my webpage entitled “shop”, so when people click that link, they’re automatically directed to my Big Cartel site which is customized to look exactly like my portfolio site. but due to lack of sales, I was actually considering taking down the site because I don’t really generate enough sales to justify the monthly payment I make to Big Cartel. I feel like people really want to see the art in person, rather than just online. I get a lot of hits, compliments but no purchases. I’m therefore debating whether i should just have people contact me directly if they want to buy a print. @JaimeeTodd Hey Jaimee, thanks for reading! I think your situation is common, unfortunately. It is easier to make a purchasing decision in-person, but online store owners can make up the difference. You start by offering tons of great product photos displaying all angles, close-up details, and the product in a scene with other items or in use to show scale… details like weight and dimensional measurements… also, video is insanely effective– it gives the eye SO much subtle information about the product and establishes trust between you and the customer. So it’s possible to make people feel super-confident, to let them “get to know” the item and you virtually as well as if you were in the same room. And that does make a lot more sales happen! If that monthly payment still really bothers you, though, consider switching to an open source cart or “buy” buttons. @JaimeeTodd I’ll echo what Stephanie says about putting very specific information about your work on your site. I’ll add that you also need to cultivate your buyers. The artists who have success online are the ones who have a personal connection with the people who visit their sites. They have an email newsletter, they’re active in social networks, they blog, and they have testimonials from past clients on their experiences buying their art. @CoryHuff I think adding the testimonials are a good addition. I do a lot of blogging and do the social networking but for future projects, I plan on doing videos to add a more personal edge to my products. @JaimeeTodd Care to share a link to your site? I’d be interested to see it. @JaimeeTodd I think your site is pretty, and your shop is well done, but you’re missing probably the most crucial thing that will enable your longevity – the mailing list. I didn’t see an opt-in form for a mailing list anywhere. @CoryHuff Thanks for the feedback, Cory! I will definitely be sure to add the mailing list. Hey Stephanie I’ve re-posted your article with full credits & all the links in this fine work! Thanks for this! Definitely helped me see there are a lot more complicated ways to explore down the road that don’t apply to me yet. And I didn’t realize I needed a merchant banking account, so I’m grateful to know PayPal is the easiest way to just have that included in one place. I’d heard their fees were high, which was why I was thinking of exploring other options, but I think perhaps going the easiest route to just get it up & running is the best first step. I can always change it down the road when I have time to revisit it for a 2.0 update. I’ve never heard of OpenCart until I read this article. It’s definitely something that I’m going to check out. Thanks for the wonderful article! Thank you so much for your advice on this topic! I have been using Blu Domain for my hosting and website and I am wondering what you would suggest for my store. They offer a shopping cart option but it has serious limitations. For example I can not place the social networking links on each image and it is hard to use I think. Is there another store option you would suggest that would allow me to keep my website and not have to start all over? I think I love you, LOL! I’m so glad to have found your information. I’m currently using Weebly, but they will not let me use my own SSL certificate that I purchased with my domain name. In order to get that, I have to upgrade to an expensive package. I might look into WordPress or the Blu domain you mentioned. I love open source too, so I was excited to read that information. Thank you for taking time to write this article to help us other artists. I was also sceptical about the POD system but I gave it a shot. This is indeed useful information. My website is not yet as I want it to be but I am sure it will be soon. I am not very technical but I am trying. Thank you for listing these options. My question is regarding Paypal Buy Now buttons…if I choose this option, can I add shipping details and tax to the checkout? Thanks! Simple and understandable article. Thank you Stephanie. I have been thinking of adding a checkout option on my wordpress site and have not been able to decide on an option yet. I hear a lot about Shopify, Paypal etc. To start off I prefer a free/easy to use/less expensive option. Is paypal integration free, I mean is there any monthly/yearly subscription? Is there an option to enable/disable shipping cost? With Paypal, do I see ‘Buy Now’ button instead of Adding to cart option. Is the button name customizable? Can you direct me to any sample wordpress sites built with the paypal option?